As insurance brokers, it is our responsibility to make sure you know what you’re covered for, and to provide you with the best advice for your insurance needs. 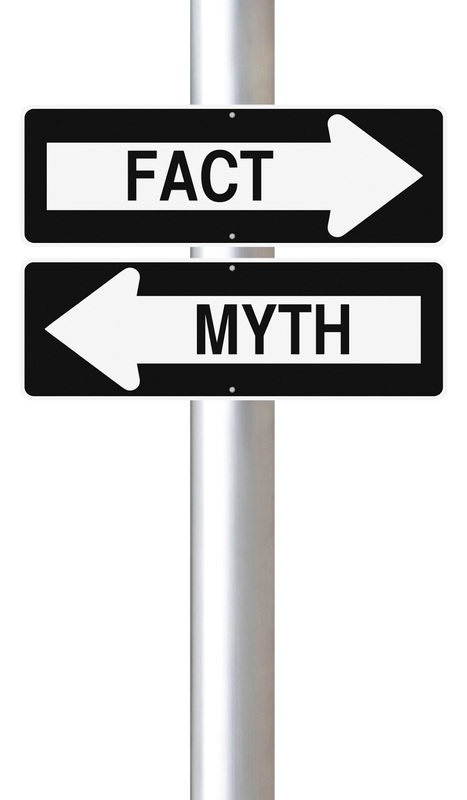 Here is a list of myths we hear all the time from our clients. Do any of these myth busters surprise you? You may have heard that yellow cars have better rates because they are much more visible than let’s say grey cars or black cars, and that red cars have a much higher premium because people who drive red cars tend to race them. This is an absolute fallacy: there is no evidence to support this in collision data. Insurance companies do not take vehicle colour into consideration when calculating premium rates. This is for the most part, false. Yes, males under 25 will pay more than females for their car insurance. This is due to the fact that males in that age bracket, statistically speaking, get into a lot more accidents than females in that same age bracket. This tends to even out by age 25, therefore making auto rates pretty even for both men and women from that point on. I’ve never been in an accident or made a claim so my insurance should go down, right? Wrong…while having a good driving record without accidents or convictions ( a speeding ticket) will give you better rates than other drivers who do have accidents, it does not, however, mean your rates will decrease year after year. Auto insurance in Alberta is heavily regulated and is subject to general premium increases depending on the insurance company. For example, in Alberta, there has been an increase in weather related claims due to conditions such as hail and flood. You may have noticed this reflected on your insurance already. Insurance companies must have a large pool of money ready to pay out catastrophic claims such as what happened with the floods back in 2013. General increases occur to ensure this pool remains at the level it needs to be in case a loss of this scale happens again. This can be true, but it’s not always the case. Depending on the type of coverage you have and the rate group of your vehicle (rate group meaning how it lands on several rating factors such as likelihood of theft, how damaged the vehicle is when it is involved in a collision accident, and so on), your new vehicle could be less than your previous vehicle for insurance. Why is this? Well, if you were driving say, a vehicle that was notoriously high for insurance rates such as a Toyota Rav 4, but then you traded in your vehicle for a new Ford focus, which has a very high safety rating, you could be looking at saving hundreds of dollars on your insurance. No, car insurance only covers the actual vehicles. If an item is stolen or damaged that was not at one point attached to the vehicle than you’re out of luck. This is why it’s really important to make sure you know the type of insurance you need. Any contents you leave behind in your vehicle such as your phone, laptop, briefcase, wallet, jackets, sports equipment or so on, would all be covered under your tenant’s policy, homeowner’s policy or condo policy. To find out more on how to get contents insurance, contact us today for your free insurance quote.